Jim is a kid who loves to read about Captain Flint’s stories. 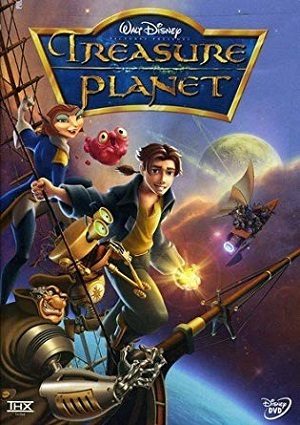 Captain Flint is an imaginary person that goes from planet to planet thanks to raid passing ships, and who hides his treasure in Treasure Planet. A few years later, while Jim runs an inn with his mother, a spaceship crashes very close to the inn. From it, a man goes out and hands a sphere to Jim, telling him to beware the cyborg. After giving a look at the sphere, a bunch of pirates burn the inn and Jim and his mother have to run away. He later discovers that the sphere is nothing but a map leading to Treasure Planet.